Did you know that before Carol Danvers was a thing there was Monica Rambeau? A New Orleans born and raised Black woman lieutenant of the local harbor patrol where she was also a cargo ship captain, because why not? And as with any good superhero story, Rambeau’s basic life was forever transformed by a supernatural energy that created in her supernatural abilities like energy absorption and conversion, with their own hefty responsibilities. 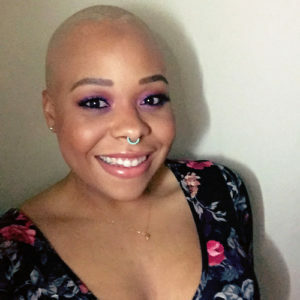 Dubbed “Captin Marvel” by the media, Rambeau first made her appearance in 1982’s The Amazing Spider-Man Annual #16 where Spidey introduced her to the Avengers gang. It wasn’t long before Rambeau’s role became a critical one and she became the Avengers’ leader. Originally inspired in part by the badassery of Pam Grier (her final character design was changed in the end), she is one of Marvel Comics’ most versatile Black characters and the first African-American Avenger. 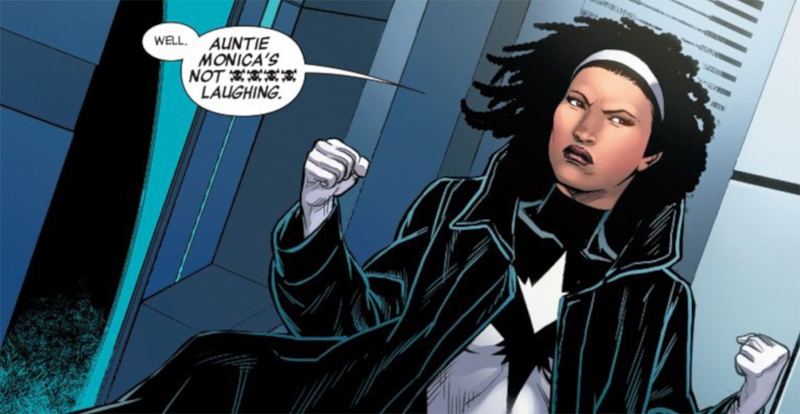 More than an Avenger, Monica Rambeau’s character has evolved through the years, even so far as adopting different monikers like Pulsar, Photon, Sceptre and Daystar. Later in her crime-fighting career she would act as the leader of the Nextwave team part of the Highest Anti-Terrorism Effort (H.A.T.E.) in a series of satirical books. And now, Monica Rambeau (Akira Akbar) is making her way to the big screen in the Carol Danvers (Brie Larson) Captain Marvel flick. Possibly, as part of the next generation of Avengers? Maybe? Hopefully? But before that happens, catch up on the entire Monica Rambeau main universe storyline with the release of Marvel Comics’ Captain Marvel: Monica Rambeau out Feb. 12. N.K. JEMISIN TO PEN GREEN LANTERN COMIC BOOK!